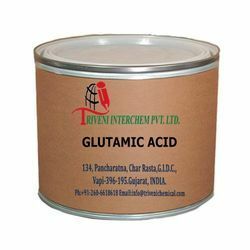 Our range of products include glutamic acid. Glutamic Acid (56-86-0) is white crystalline powder. it is also known as L-glutamic acid. Storage: Keep container tightly closed. Keep container in a cool, well-ventilated area. Looking for Central Nervous System API ?